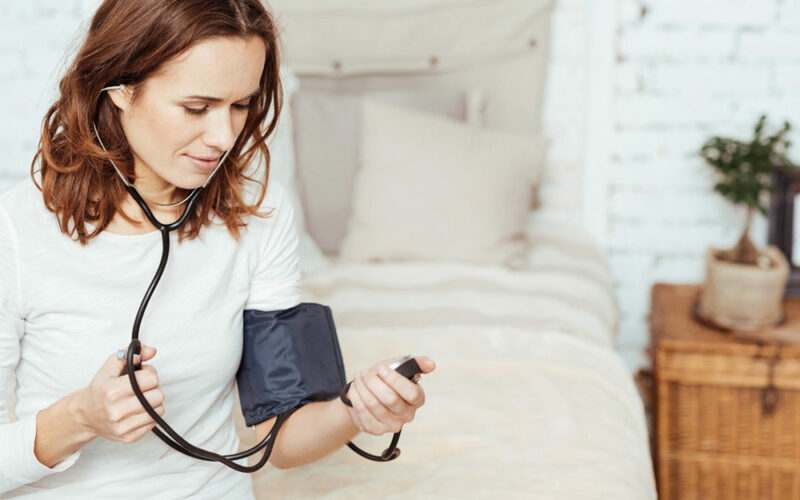 Postpartum hypertension causes severe complications, such as pulmonary edema and stroke and on rare occasions, death. It’s said to occur when the blood pressure of a woman elevates after childbirth. To be sure that you are in excellent health during and after pregnancy, you should consult your doctor. Book Your Appointment now! When a pregnant woman is diagnosed with pre-eclampsia, she is at risk of suffering from high blood pressure after giving birth. Things should return to normalcy between 1.5 and 6 months post-delivery. When moves from the swollen tissues and returns to the arteries. The extra fluid may be caused by fluctuation of hormones linked to childbirth, administration of IV fluids at the time of giving birth and pain relievers. The presence of an adrenal gland tumor might cause hypertension even if a woman’s blood pressure was normal during her pregnancy. One of the major risk factors of postpartum high blood pressure is obesity. A woman who plans to conceive should watch out her weight. If you are overweight or obese, consider getting rid of the excess pounds before conception. It will go a long way in helping you stay clear of high blood pressure during pregnancy, and after delivery. While issues of childbearing are extremely personal, medical experts caution women against postponing the event until after 40 years. Apparently, postpartum high blood pressure is more likely to occur in women aged above 40 years. While they say that life begins at 40, you may want to reevaluate your priorities especially if you don’t have fertility issues and you are in a stable union. If possible, put other things on hold temporarily and then finish childbearing before you hit 40. In any case, your health comes first. If you have type one or two diabetes, walk the pregnancy journey with your doctor closely. People with diabetes have a higher chance of suffering from hypertension after childbirth compared to non-diabetics. Ensure to follow the advice of your doctor religiously, including eating a well-balanced diet. 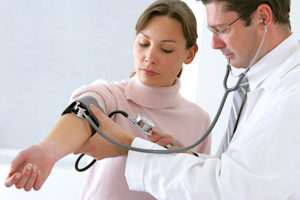 If you’ve always had blood pressure, make it known to your doctor as soon as you confirm that you are pregnant. Your obstetrician will help you keep it in check. Note that uncontrolled hypertension may increase in severity during and after pregnancy. Finally, lead an active lifestyle to not only enhance circulation but also, to avoid unhealthy weight gain during pregnancy, which can lead to high blood pressure after delivery.